TSC Hurricane Boys is an elite youth soccer development club located in Tulsa, OK (with satellite locations in Bartlesville and Mayes County). TSCH has a strong history of player development with numerous players being selected for collegiate, US Soccer National Team and Professional honors. It is TSCH goal to service and develop players from the grassroots level and give those same players a pathway to the United States Soccer Youth National Teams, Domestic Professional opportunities and for the majority an exposure to leading athletic and academic college programs. TSCH will continue to provide their players the highest level of coaching and development possible, whilst affording them different pathways that fit their individual need, whether it be national, professional or collegiate aspirations. 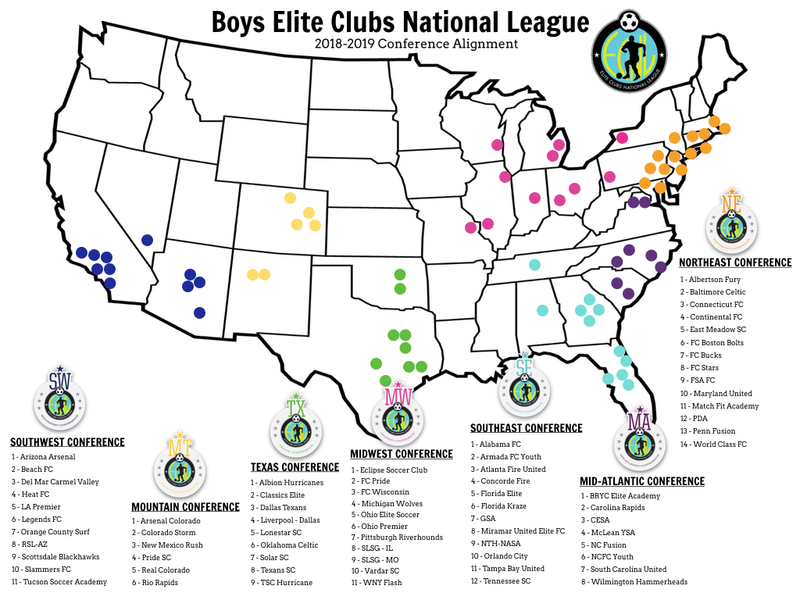 Schedules will meet the needs of the individual age group and fit within our philosophy of training to game ratio’s, incorporating both meaningful local and regional game playing opportunities. ECNL Staff will work as a cohesive unit across all age groups.